Making your own bread is so delicious, and the smell, mmm! 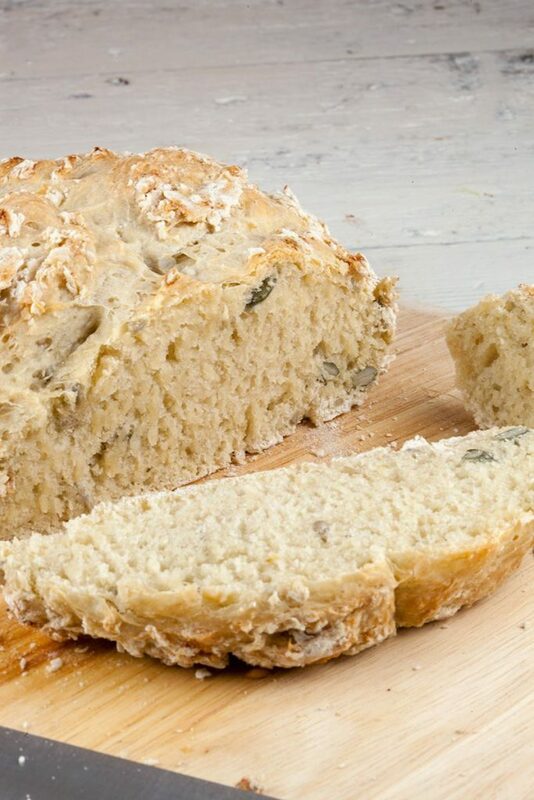 This no-knead bread is ready in less than 2 hours. Worth it! optional: large handful of seeds, such as pumpkin and sunflower seeds. There’s no need to knead this dough. COMBINE flour, yeast, sugar, salt and optional the seeds. POUR in the lukewarm water and stir with a wooden spoon. COVER with cling film and let it rise on a warm place for an hour. 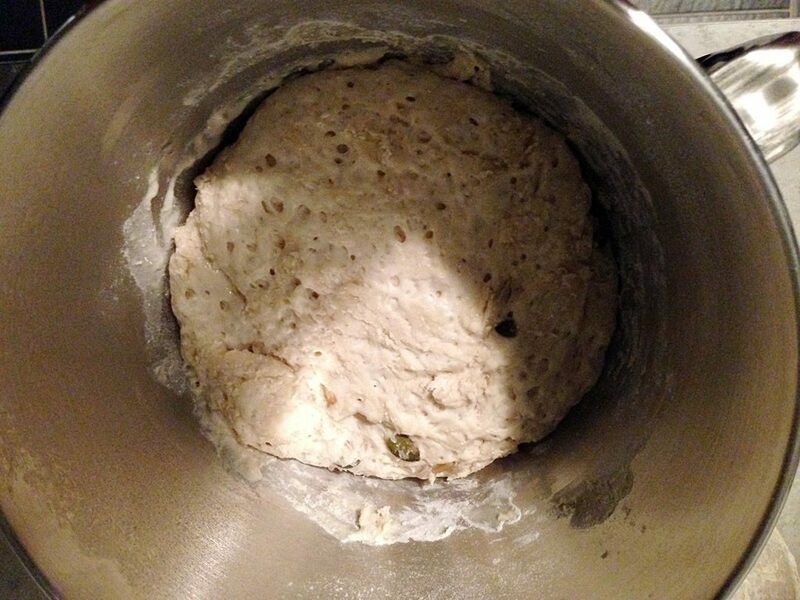 You’ll notice the dough has doubled in size. LINE the spring form or any other kind of oven dish with parchment paper. CREATE a dough ball, place it onto the parchment paper and dust with a little bit of flour. Let it rise for another 15 minutes and meanwhile PRE-HEAT the oven to 170 degrees Celsius or 340 degrees Fahrenheit. PLACE a small bowl with water into the oven during baking, this way the bread won’t become too dry. 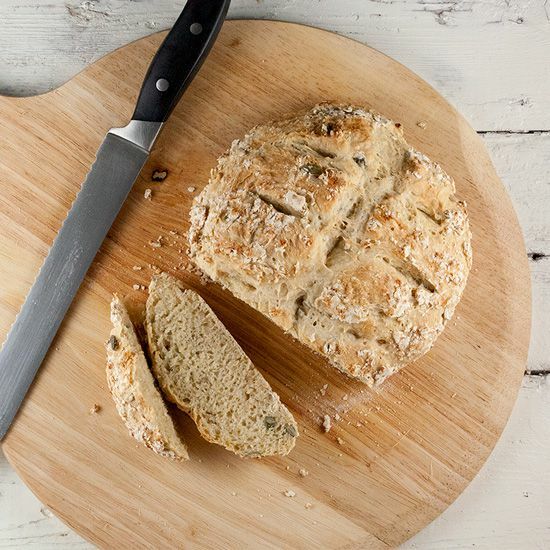 Use a sharp knife to create cuts into the dough. To prevent the knife from sticking, you can hold it under running water first. BAKE the bread for about 35 minutes. You can check if the bread is ready, by tapping it, if the bread sounds ‘hollow’ it’s done. Enjoy! I’m sure it was tasty. 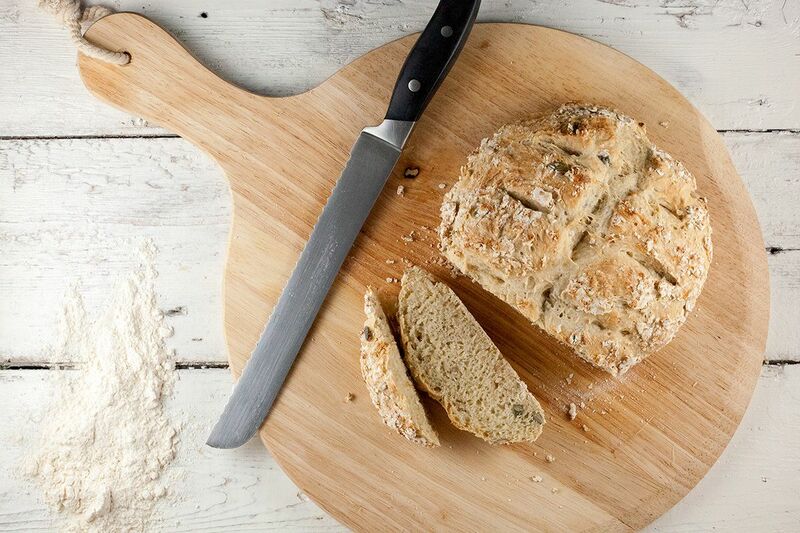 A no knead bread is a good one for a new bread baker to try. It sure is, so easy and so flavorful!